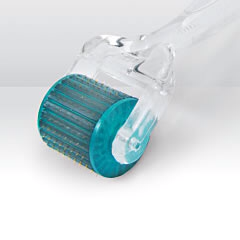 Everyone is talking about Derma-roller or "Micro-needling therapy", also known as Medical Needling. It is a treatments Hollywood A-lister have kept a secret for to long. This revolutionary treatment harnesses the body’s natural powers of healing to repair damaged skin and achieves incredible results never before seen in-salon. Needling is especially effective for fine lines and wrinkles, photo damage, acne scarring, slackened skin, stretch marks and uneven skin tone. Having created 1000s of these micro channels we can optimise this treatment by flooding the skin with active ingredients, which will work at a cellular level and be at their most efficacious. By adding serums greater results can be achieved. 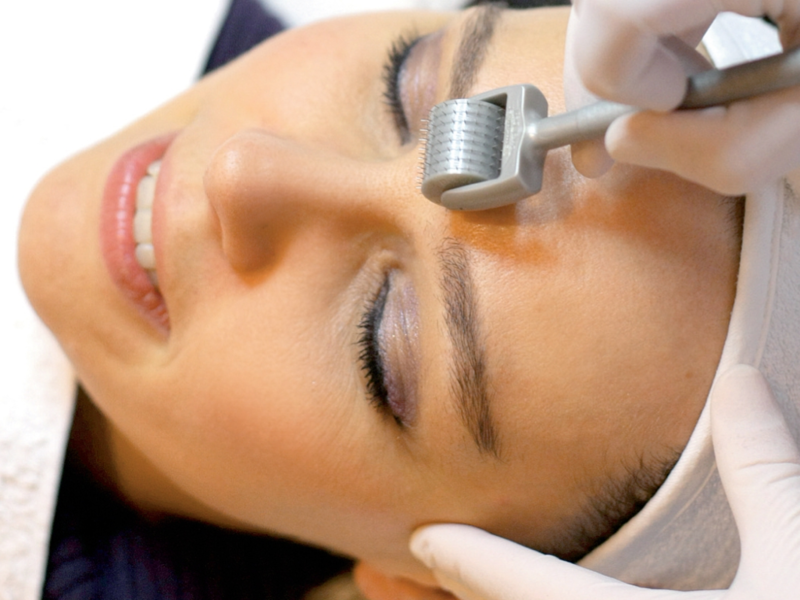 After a treatment your body will start to naturally regenerate and repair the skin, working below the surface in the dermis.It can take up to 6 weeks before visible signs of regeneration and repair are seen and the process will continue over the following months, providing you with a natural and long lasting enhancement. This takes time as new collagen is formed, new skin cells are generated and blood supply is enhanced. Straight after your treatment your skin will be warm, red and tingly. There can also be some mild redness and swelling which can last between 2-7 days. After 1-3 weeks the skins texture and tone will improve. After this time the pigment will also change. After week 6 you’ll notice an improvement to the appearance of lines, wrinkles and scarring. As the treatment stimulates the natural cell turnover, we recommend a 6 weeks gap between treatments, for the best results you would need a course of Derma-roller treatments. Treatment duration approx. 1 hour including applying numbing cream 20-30 minutes prior to treatments. Rejuvenation – 3-6 treatment course. Acne Scarring- 6 treatment course.